An excellent article about “True and False Yoga,” written by Marie Russak in the Adyar Bulletin of August 1908, has again forcibly called my attention to the disastrous results arising from meddling with occult practices without understanding their real nature. I have before my eyes a long list of friends and personal acquaintances, who within the last few years have become victims of their “ psychic researches,” for which they were not yet ripe and in which they persisted in spite of all warnings. Some of them became insane, some incurably diseased, others obsessed and morally depraved, and not a few of them ended by suicide. They were not unintelligent or uneducated people; on the contrary, one of them was a great and well known scientist and inventor, noble minded and generous; several were writers or poets of some distinction and a few even public lecturers on Theosophical subjects and on Spiritualism—things, however, of which they had very little personal experience and of which they knew only from reading. H. P. Blavatsky has repeatedly said that for the purpose of obtaining occult knowledge one has first to become a “Theosophist.” This is not to be understood as if a person could not attain occult knowledge without having first his name inscribed as a member of the Theosophical Society, or as if by doing so he would become immediately ripe for receiving magical powers; but it means what the great Shankaracharya teaches in his Tattwa Bodha, namely, that the first requisite for obtaining real knowledge is the discernment between the “lasting and not lasting,”—between the high and the low, the real and unreal, the true and the false—to distinguish between one’s own permanent Self and the evanescent personality to which that higher Self is bound during its terrestrial and astral life. In other words, we must realize that which is spiritual and divine within ourselves and in every other thing, before the portals of profound occult knowledge can be opened for us and we become initiated into the divine mysteries of nature. We must be able to raise our consciousness to a higher plane, before we can be able to perceive and actually know that which belongs to that plane and to avoid the snares and pitfalls which await those who walk with closed eyes in the dangerous precincts of the astral plane. 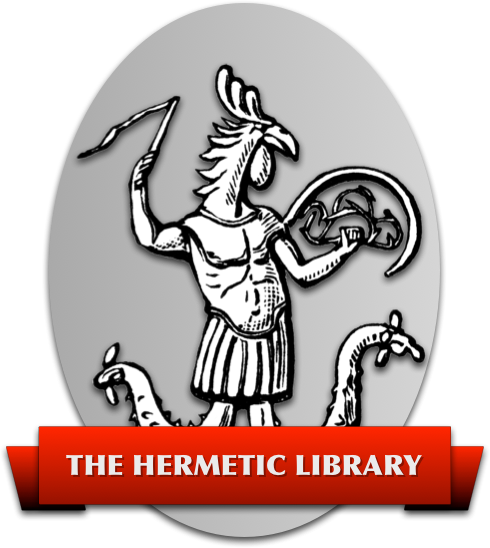 But with the advent of the Theosophical Society and the revival of the Theosophical movement a certain amount of promulgation of occult teachings was unavoidably connected. The spiritualistic movement had already paved the way; its phenomena had brought consternation among the learned and attracted the ignorant crowd. It became necessary to divulge some of the occult secrets which had been hidden for ages, and to explain some of the mysterious laws of nature, for the purpose of destroying certain misconceptions which had been caused by the establishment of a communication between mortals and what were supposed to be the immortal spirits of the departed. It was necessary to explain the nature of some of these astral entities, and thus to stem the tide of a wave of superstition which seemed to invade the world while the wave of materialism was receding and clericalism losing its hold. Thus, what I may call a new era of occultism and psychism was inaugurated as a side issue of the Theosophical movement; occult phenomena, whether spurious or genuine, alike attracted the general attention of the public. The occult teachings, calculated at first only for such as were supposed to make proper use of them, soon became public property and were extensively misunderstood. Curiosity, the great motor power of the human mind and the first guide on the road to knowledge, was aroused. Many were those who by means of having their attention called to the higher truths of religion, were induced to lead a higher life, owing to the Theosophical teachings which they received; but there were and still are also many desirous of coming into possession of celestial powers, only for the purpose of applying them for the gratification of their passions or selfish desires; because, as the proverb says: “Extremes touch each other, and there is only a step from the sublime to the ridiculous”. Every great movement, when it becomes popular, oversteps its boundaries and devastation begins. The tree of occultism, overflowing with life, produced many excrescences; hypnotism and mental suggestion appeared upon the scene and their miracles worked both ways; for, the best kind of medicine for effecting a cure may, if misapplied, also become a poison that kills, and the two, great enemies of mankind, stupidity and selfishness, are always ready to misapply the gifts which they receive. There are not a few who are willing to pledge their souls to the demons of hell, if they thereby could come into possession of infernal powers. If magic were to become the property of popular science, no man, woman or child would be sure of his life or safe against obsession; for, as the fanatical vivisectionist would not hesitate to destroy the whole of our animal creation for the purpose of giving support to some of his scientific theories, so the scientist of the future, without moral support, if endowed with occult powers, would not hesitate to experiment with the souls of human beings for the purpose of gratifying his curiosity and ambition for making discoveries. The ignorance and scepticism of the majority of the learned is at present the best protection against such evils for the majority of mankind. But we will not enter at this moment into a discussion of the history of psychological crime or its prospect in the future, but merely turn our attention to the consequences of human folly and misunderstood truth. And now came a glorious harvest time for divers, chevaliers d'industrie, adventurers, conscious frauds and humbugs speculating on the contents of the pockets of gullible people by pretending to be able to teach persons, at so many dollars a head, how to put themselves in possession of supernatural powers. “Occult Societies” were formed with the evident object of desecrating that which is holy and making the high subservient to the low. They met the financial success which usually awaits those who know how to use the ignorance and greed of others to their own advantage; but how many of their deluded followers became victims of black magic will never be known. These victims were not all uncultured persons; there were some of them known to me as men of superior intellect, who seriously believed themselves to be earnest seekers for truth and tried all sorts of yoga practices for the purpose of “seeing what would come of it.” What came was insanity, prostration of the nervous system, loss of vitality and death. I have given the description of one such case in the Occult Review, March 1906. No end of tales, some of them amusing and ridiculous, others tragical, might be told about the experiences of people seeking to obtain occult or magical powers who fell into the hands of cranks or charlatans. It is quite surprising to see how many otherwise intelligent people are ready to pledge implicit obedience to orders supposed to come from some unknown superiors, even if these orders are purely nonsensical. The game of “Unknown Superiors” was already in the seventeenth century successfully played among the order of the “Illuminates” whose system was based upon mutual espionage and secret supervision; it was organized after the pattern of the Jesuitical orders and existed until it become a real danger to the State. Some years ago the sending out of spurious Mahatma letters was quite the fashion in certain places, and all sorts of lies were employed to make the seekers for wisdom believe in their genuineness. When I was in Hamburg a lady came to me with what she claimed to be a letter from a Mahatma. She said she had been sent by some members of the society to which she belonged, to show me that letter and ask my opinion about it. It was an anonymous letter, containing some common pious phrases and demanding implicit obedience to all orders issuing from the writer—especially such orders as requested the payment of money. I answered that I should consider a person very foolish if he were to act blindly upon orders contained in an anonymous letter. The lady retired, but instead of reporting my answer she, as I afterwards found out, said that as soon as I looked at that letter I immediately recognized it as coming from a Mahatma; that my eyes were filled with tears of emotion (!) and that I recommended the strictest obedience. The fact was that the writer of the letter was that lady’s husband, and that he wanted to obtain my endorsement to strengthen the faith of his gullible followers. The history of human stupidity is without end; inexhaustible is the army of the credulous, willing to commit all sorts of folly, if they are made to believe that thereby they may obtainsuperiority over the rest of mankind. They are ready to sacrifice everything except the egotism resulting from the delusion of self. But we will now direct our attention to another class of “occult schools,” which are more dangerous, as their guides are invisible and belong to the inhabitants of the astral plane. One such case has been graphically described by C. W. Leadbeater in an article entitled “A Vision and the Facts behind it,” contained in the Theosophist of April, 1909. Here I might give account, from my own experience, of a number of cases where well intentioned and intelligent people met financial and physical ruin by placing implicit confidence in the teachings and directions of invisible “spiritual” guides. I will select only the following two. Some of our readers will perhaps remember that a few years ago a dozen students of Theosophy, being dissatisfied with the slow progress which they were making in becoming spiritual, formed an “inner circle” at Budapest in which they soon become witnesses of the most surprising phenomena. They had materializations and the ghosts represented themselves to be the twelve apostles, and each “ apostle” accepted one of these students as his disciples. All that had heretofore been taught by H. P. Blavatsky and the Indian Sages was now by these apostles declared to be nonsense, self sacrifice and asceticism made ridiculous, and contrary directions, enjoining strict secrecy, were given. Finally “Jesus Christ” himself appeared in person; they were ordered to go to Madagascar and, being partly obsessed by these spooks, they actually went there, expecting “further orders.” There they lived for a while in the swamps, contrary to all the laws of hygiene, but soon one after another they fell victims to the climate. Out of the twelve seven died and the rest returned, perhaps wiser, but surely poorer men. Another case is the following, and I regret to have to leave out names on account of personal considerations. In Hamburg I was introduced into a society of “occultists,” counting among its visitors persons of some distinction. They had their “Masters,” which they held in great veneration, and these “Masters” produced their phenomena and gave their communications through the wife of the husband who owned the house where the circle met. This lady seemed to be in a state of chronic obsession, often lying for weeks in a state of semi-trance, during which she declared that her own spirit was absent and that the “Masters” had taken possession of her. The most remarkable phenomena took place at that house; noises, as if cannon balls were being rolled over the wooden floor, were heard, and made the walls shake; lights appeared at night so strong as to make the neighbors believe that the house was on fire; handfuls of sand were thrown in the faces of visitors, photographs of scenery of living and dead persons, elementals and monsters were taken on plates without the use of a camera; but the most astonishing phenomenon was the almost instantaneous traveling of living people to long distances and through walls and closed windows, such as I have described in my article on “Magical Metathesis” in the Occult Review, July 1906. What surprised me still more, was the fact that these spirits seemed to be well acquainted with the contents of Madame Blavatsky’s Secret Doctrine and other books on Theosophy, which those people had never read, while on the other hand the communications received, which were held very secret and sacred, being shown to only the very select, contained the greatest vagaries, descriptions of the “realm of Pluto,” the infernal regions within the interior of the earth, and the like. These “Masters” not only directed the “spiritual progress” of their disciples, but also their external affairs, and the disciples always acted according to the orders received. The end was that the husband of that lady first entirely neglected and finally gave up his business, and afterwards—also “by order of the Masters” —sold his house at a great sacrifice. The family were reduced to poverty and having become destitute they finally abandoned their “occult research”. All such failures go to show that there is a desire for progress and spiritual evolution within the human heart, and that everybody consciously or unconsciously strives to attain it, however erroneous may be the ways and means which are taken for that purpose. The unguided aspirant for occult knowledge resembles a fly that falls into a basin of water and tries to save itself by swimming now in this and then in that direction, often changing its course even when nearing the shore and finally getting drowned. But where is that guidance to be found? There are innumerable “seekers for truth” and “students of Theosophy” wishing for guides and continually clamoring for “more instructions,” without ever thinking of following those instructions which they have already received. They are at all times looking at external things in the hope of finding that which can be found only internally; regardless of the often repeated saying: “Within yourselves deliverance must be found”. The first step on the way to Initiation is purification of the heart and mind, because the light of Divine Wisdom cannot manifest itself in a place clouded with impure thoughts and filled with selfish desires. No one has ever made the second step without making the first one, and all efforts to drag the high into the service of the low lead only to degradation, misfortune and evil. Therefore the real practice of occultism consists in the control of one’s lower thoughts and emotions, which can be done only by the aid of one’s own higher nature; because only the higher has power over the lower; “self” cannot overcome “itself,” and for this purpose it is necessary to acquire that discernment between the eternal and true, and that which is temporal and illusive, of which we spoke in the beginning of this article. Thus it appears that instead of running after bogus “Masters” and pseudo adepts and being led by the nose by humbugs and frauds of this or the astral plane, it would be better to cultivate high thoughts and elevating selfless aspirations, from which good actions are the natural outcome. If his consciousness is thus firmly established on a higher plane, the student of Theosophy will be ready to receive further light; and the Great Souls who are watching over the progress of humanity will not fail to come to the aid of those who keep the divine ideal before their eyes and seek to realize it within their hearts.